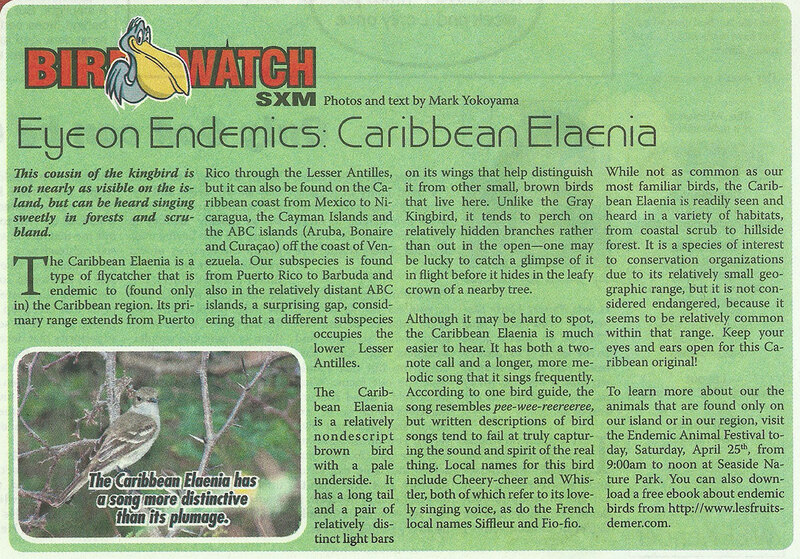 Is there a better time to keep an eye on endemics than the month Caribbean Endemic Bird Festival? 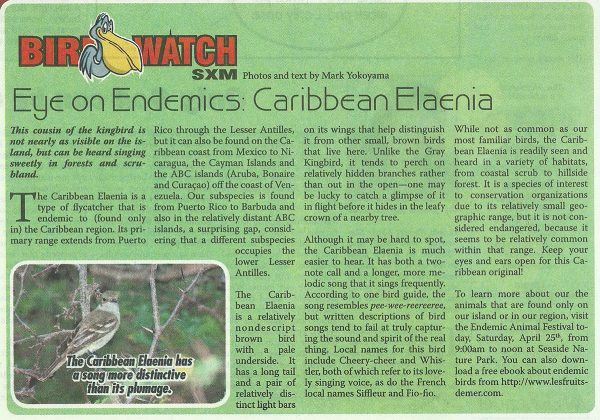 In this week’s Bird Watch SXM column we take a look at a sweet-singing Caribbean endemic, the Caribbean Elaenia. Also, don’t forget to download the Eye on Endemics ebook.